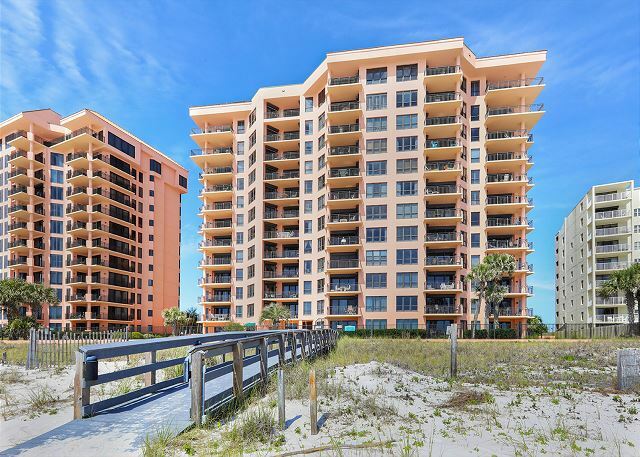 Views of the Gulf from the master bedroom, living area and large balcony as well as New Orleans style decor make this 1,420 square foot, two bedroom, two bath twelfth floor penthouse a renter's favorite. This unit features a fully equipped kitchen including ice maker, microwave, dishwasher and laundry area with full size washer and dryer. Other features include 10-foot ceilings, sky-lighted entryway, ceiling fans, central heating and air conditioning, and a large master bath with whirlpool tub, separate glass enclosed shower, double vanity and lots of closet space. What a great time, highly recommend to take time to visit. condo was top of the line. staff was great. We will be back. Thank you for choosing the Aronov Gulf Coast team for your summer vacation. We're so glad you enjoyed your stay in SeaChase 1202E. When you come back to SeaChase, you can request to come back to this condo! We hope to see you again soon. This condo was elegantly appointed-a switch from usual beach condos. We loved it and felt so at home! The balcony furniture was also very nice. We never had to wait for an elevator. Fast service! Loved this unit. Very well decorated, well stocked, great view with extra tall ceilings. Only complaint is with chair rental co. If they are going to raise their prices, they should not pick up the chairs beginning at 4:30. Please leave them out until 6:00 during summer months. It was great, great weather, great condo and great friends. We enjoyed a wonderful winter vacation in SeaChase 1202E. The property was comfortable, convenient and very well furnished. Will return.